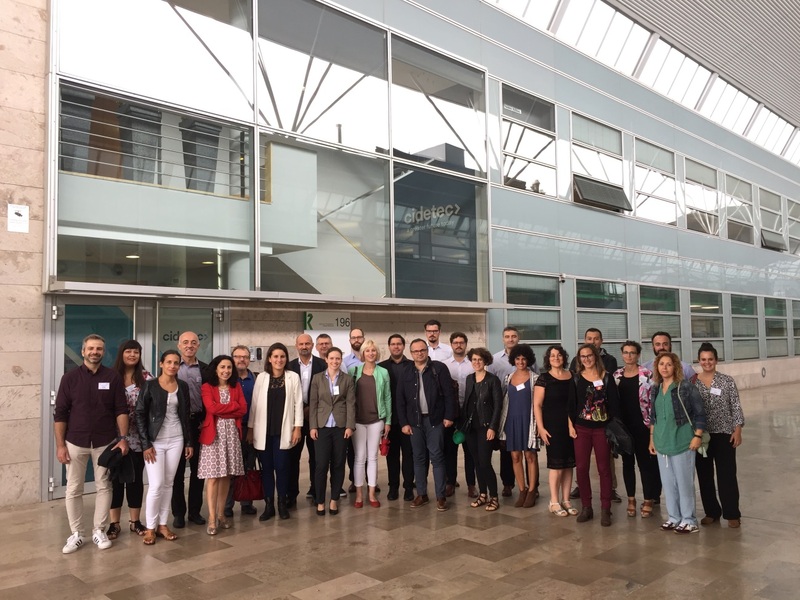 The kick off meeting of the AIRPOXY project took place at CIDETEC on 5th and 6th of September. The AIRPOXY project, funded by the European Commission with an allocated budget of 6.5 M€, seeks to reduce production & MRO (maintenance, repair and overhaul operations) costs of composite parts in aeronautics. To achieve this goals a new family of enhanced composites will be develop. These new composites preserve all the advantages of conventional thermosets, while showing new unprecedented features such as Re-processability, Reparability and Recyclability (3R). For 2022 the project will manufacture 2 demonstrators of aircraft panels (a sub-component of a leading edge and a sub-component fan-cowl) through the development of new processing technology for thermosets, 3R-thermoforming technology, which is 100 faster and much more automated than autoclave. New repair technology combined with structural health monitoring of composite parts will be developed in order to reduce actual maintenance costs by 50 %. Finally, the development of novel 3R-bonding technology will permit to reduce bonding costs by over 50 % increasing their robustness by 20 %. The AIRPOXY project is led by CIDETEC and it is formed by a multidisciplinary consortium of 11 partners from 6 countries; CIDETEC (Spain) as resin inventor, key technology providers IVW (Germany) (thermoforming & welding), Eurecat (Spain) (RTM), Coexpair (Belgium) (SQRTM), University of Ioannina (Greece) (SHM); Altair (France) (process simulation software), aircraft components manufacturers (EIRE, Ireland); IDEC, Spain); SONACA, Belgium), standardization experts UNE (Spain) and an aeroconsultancy (ARTTIC, France).